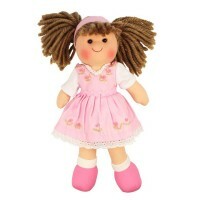 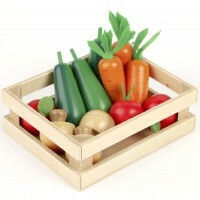 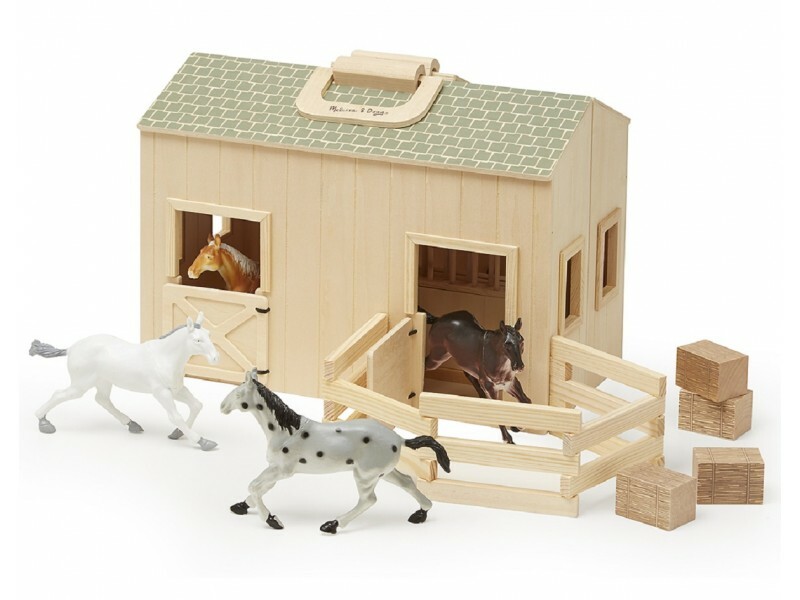 This delightful wooden Fold & Go Stable is just the right size for children to take with them on their travels. 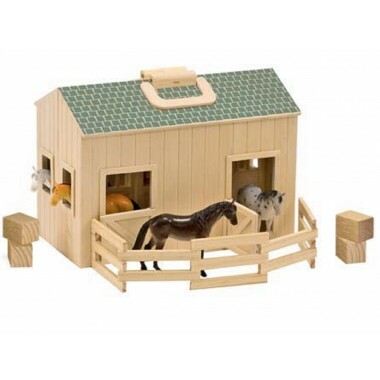 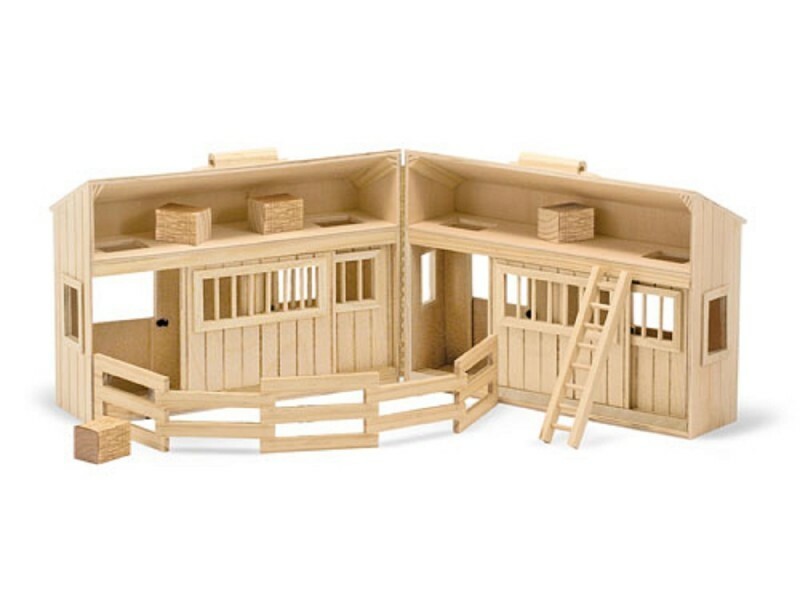 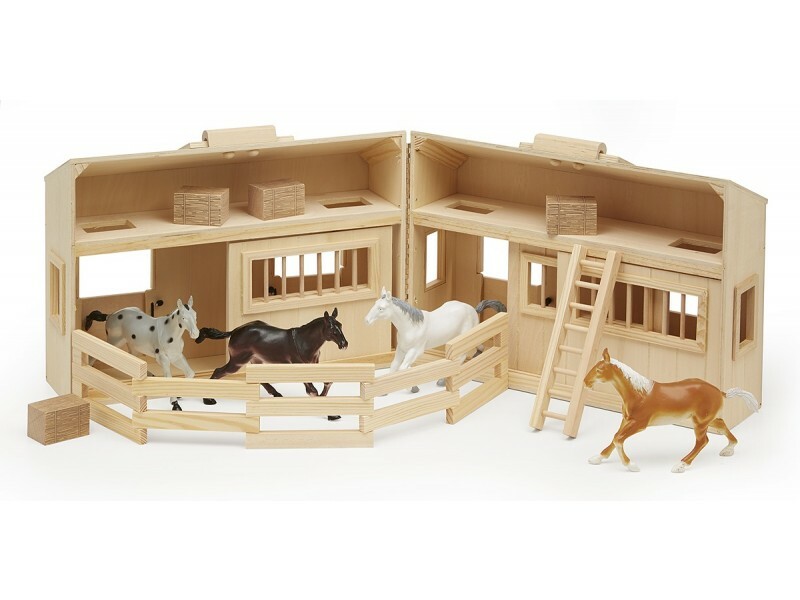 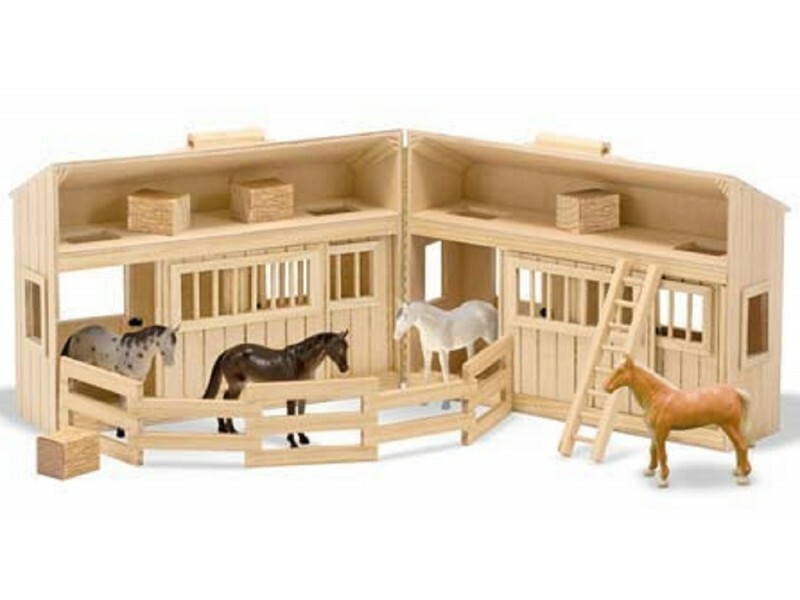 The stables have a natural wood finish with a green shingled roof and include a hay loft with 4 bales of hay, a wooden ladder and 4 plastic horses. 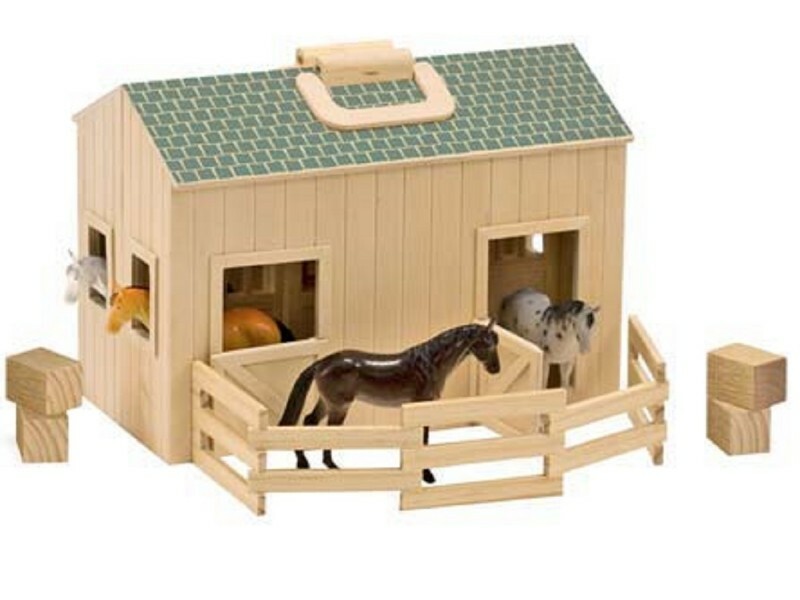 There is a stall in the stable for each of the 4 horses, opening doors and folding fence sections so that the horses can go outside to graze.